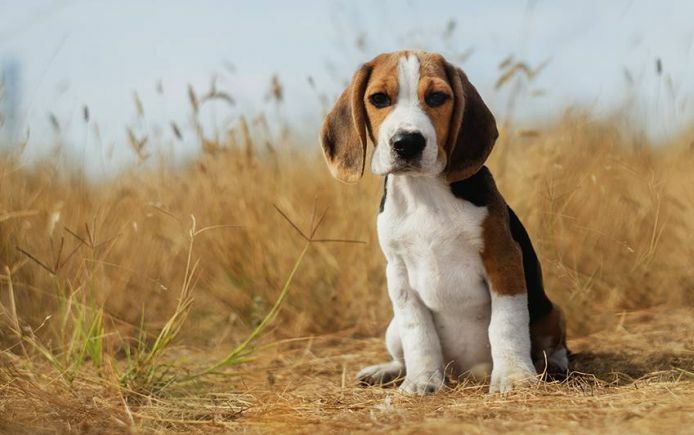 Last month, an undercover investigation by the Humane Society of the United States revealed that Corteva Agriscience had been force-feeding agricultural chemicals to three dozen beagles in a yearlong study on a fungicide’s toxicity. The beagles were slated for euthanization at the completion of the study, after suffering for months. The dogs were kept in stainless steel cages and were force-fed the fungicide, Adavelt, up to four times daily. It’s unsurprising that Corteva was so quick to try to distance itself from these abhorrent animal-testing practices — after all, they just spent a great amount of time, effort and, no doubt, money on rebranding . . . because Corteva is the agricultural division of DowDuPont. When the merger between agrichemical giants Dow Chemical and DuPont was finalized — despite widespread public outcry and opposition — we saw the new mega-corporation try to wipe their corporate misdeeds from the minds of consumers by unveiling their new name, “Corteva Agrisciences.” Corteva comes from the words “heart” and “nature.” Fitting for a corporation force-feeding fungicides to beagles that they planned to euthanize after a year, no? In 1965, Dow Chemical introduced chlorpyrifos. Yes, that chlorpyrifos, the neurotoxic pesticide that causes brain damage in children, that we have been working hard to ban for over 10 years. For more than 50 years, Dow (along with Shell Oil) knowingly included a highly toxic waste chemical in their fumigant pesticide products, rather than paying to dispose of it properly. The chemical, 1,2,3-trichloropropane (TCP), is a known carcinogen that made its way into drinking water. Dow’s controversial herbicide cocktail, Enlist Duo — a combination of 2,4-D and glyphosate — has been a key actor in the catastrophic superweed crisis plaguing farmers across the country. And not to mention, glyphosate and 2,4-D are problematic chemicals on their own, with exposure connected to cancer and birth defects. DuPont isn’t innocent by any stretch of the imagination either. Its pesticide Imprelis, originally marketed as having a “low environmental impact” ended up killing hundreds and thousands of trees nationwide. In the past, it has hired a fleet of ex-police officers to patrol the farmlands of North America, ensuring that farmers weren’t trying to replant their genetically engineered seeds. With a track record like that, it makes sense that Dow and DuPont would try to create a “clean slate” for themselves following the merger. But we’re too smart to fall for it. I’m sure Corteva (DowDuPont) panicked with the release of the investigation blowing the reputation of their new name so soon. But they aren’t doing themselves any favors. Despite promising weeks ago to rehome the dogs, they were just released to a shelter on Sunday after ongoing pressure from the media and the public. The dogs are now in the care of the Michigan Humane Society where they are being evaluated and cared for before they will be released for adoption. Actions speak louder than words. We’ve seen the villainy of seed and pesticide giants threatening human, animal, and environmental health and well-being in the past. And unfortunately, we’ll likely see it into the future. In this case, pressure from the public did get Corteva to act, saving the lives of dozens of beagles. We’ll continue paying attention, taking note, and highlighting the injustices of actors like Corteva whenever and wherever we can.